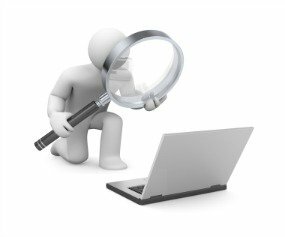 ✔ Who Can Prepare Notice To Reader Financial Statements? What Information Should I Give My Bookkeeper? 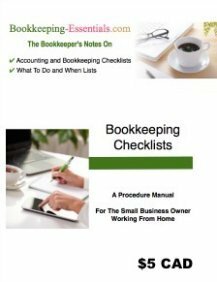 A bookkeeping checklist when switching bookkeepers or preparing your tax information for your accountant is really handy. I am going to present both of these lists for you. You will notice they are similar ... but there are a few differences. My bookkeeping checklists for daily, weekly, monthly, quarterly, annual and year-end are no longer available on the website. The six lists are now available for purchase as an eBook. You can purchase it here for $5 CAD. As a bonus, you will find the two checklists on this page in the appendix. 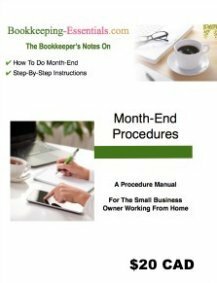 … OR buy my month end procedures eManual AND my bookkeeping checklists eBook for $22.50, a 10% savings. Take a full 30 Days to put the “The Bookkeeping Checklists” to the test. If this eBook doesn’t help you with your bookkeeping tasks, Laura will refund your purchase. This is an e-product delivered by download after you click on a link. 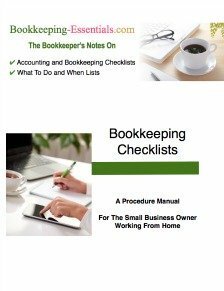 You have decided to switch bookkeepers and wonder if there is a bookkeeping checklist you could use to gather the information for your new bookkeeper. My answer is yes! Your new bookkeeper will need the same small business bookkeeping information you were giving to your old bookkeeper ... plus a trial balance up to the last date your old bookkeeper did the books as well as a year-to-date general ledger. Pdf copies placed in DropBox (or similar service), delivered by encrypted mail such as eCourier, or on a CD are preferred over paper ... but paper still works. 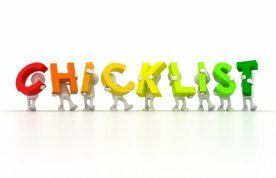 Pssst ... if you are a new bookkeeper, this list will help you too if you are wondering, "What details do I need from a new client?". Your bookkeeper wants to see ALL your source documents pertaining to your business ... unlike your accountant. They need it to ensure they have recorded your business revenue and expenses properly. The only thing bookkeepers really don't need are your personal receipts. Personal expenses should not be going through your business accounts. If your bookkeeper (is that you?) doesn't have the knowledge to categorize your transactions properly ... you may be in big, Big, BIG trouble if you are ever audited. documents pertaining to lease agreements, financial loans, insurance or any contracts you have entered into. Check out this bookkeeping tip that can reduce your overall small business bookkeeping fees. The more organized your records, the less it costs to process them. Further up on the same page is a box with links to more tips on how to reduce your bookkeeping fees. If you have all the above small business bookkeeping information completed and with you on your first visit, your new bookkeeper should be up and running quickly. A question I am often asked is "I have done my own small business bookkeeping throughout the year. I am now preparing my paperwork for year end. What information does my accountant need?" Your accountant will need the following small business bookkeeping information packaged in an organized fashion. Some like to keep it all in a year end binder, others in a series of file folders. From the list below, you will see your accountant doesn't want to look at all of your receipts and invoices like your bookkeeper does. Why? It is most likely that you have a notice to reader engagement, not a review or audit engagement. This means the accountant has not been engaged to review your paperwork. You or your bookkeeper have processed all the paperwork and put it in a format your accountant can use. Your accountant will go through your small business bookkeeping reports, third party statements and government information reports submitted to CRA (or IRS). S/he will request additional backup from you when necessary. You can see where this could lead to a problem if your bookkeeping or your bookkeeper's bookkeeping is poor quality ... it leads to problems during a tax audit. Whatever your recordkeeping system, just make it organized so your accountant can easily find any information s/he is looking for. Whenever possible, it is preferable these days that the information and reports be placed in DropBox (or a similar service), delivered by encrypted mail such as eCourier, or on a CD in pdf format as opposed to paper copies. include the original cost and net book value of capital assets sold along with the proceeds receivied upon dispostion of the asset. If your accountant is also doing your taxes, s/he will also need your home office expense information and your auto log if you use your personal vehicle for business, along with a listing of all your auto receipts. When the work is complete, your accountant should provide you with an adjusted trial balance, adjusting and closing entries. You or your bookkeeper will need to post the adjusting and closing entries into your accounting software program before you close your year-end books ... so add this task to your year-end bookkeeping checklist. Who Can Prepare Notice To Reader Statements? Once you have used the bookkeeping checklist above, your bookkeeper/accountant will use that information to prepare a financial reports. This begs the question ... can a non-CA / CGA (chartered accountant / certified general accountant) prepare a Notice to Reader set of financial statements? Yes. Notice to Reader (NTR) statements do not require an audit review or audit opinion ... so an uncertified accountant / professional bookkeeper can be engaged for a compilation engagement. Always remember that it is management's responsibility to prepare ... or arrange to have prepared ... financial statements.The bookkeeping checklists above should help you get yourself organized. A compilation engagement is limited in scope as it involves compiling data from management into a set of financial statements that may or may not conform to generally accepted accounting principles (GAAP) ... sometimes you only need your financial statement presentation to conform to the Income Tax Act. This leads to the next question ... do you need to have GAAP and/or ASPE financial statements prepared annually for your business? Click here to find out. Remember, you can purchase my month-end procedures to ensure you have a more accurate set of books.